South Korean game developer Pearl Abyss Corp. said on Wednesday that its multiplayer online role-playing game (MMORPG) Black Desert has generated over $1 billion in cumulated sales in four years. According to Pearl Abyss, Black Desert has generated more than $1 billion in intellectual property revenue since its launch in December, 2014. The Korean company released Black Desert Online that year and reaped 1.1 billion won ($965,580) in sales, which jumped 360 times last year to 404.7 billion won. 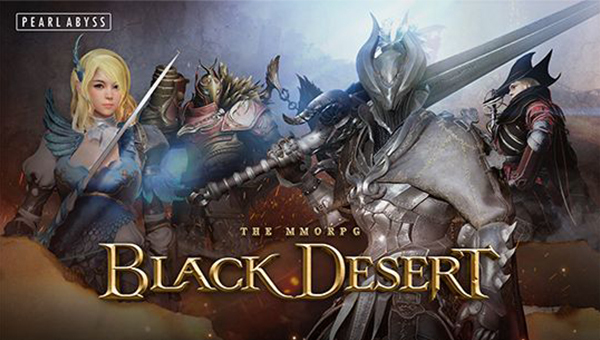 Black Desert was initially developed as an online game, which then was released in mobile and console versions. The fantasy role-playing game has 18 million registered users from more than 150 countries. Black Desert intellectual property revenue came 17.6 percent from North America and South America, 15.8 percent from Europe, and 66.6 percent from Asia including Korea, Taiwan, and Japan. Pearl Abyss attributed robust sales to its efforts to maximize platform expandability and boost game development speed and flexibility by directly developing game engine that form the basis instead of using a commercial engine from overseas. Currently, the company is focused on developing a next-generation game engine to preemptively deal changes in the technology environment such as emergence of fifth-generation mobile network and cloud server. Pearl Abyss is hoping to diversify its revenue portfolio by developing Project K and Project V engines and additionally release Black Desert Mobile in North America and Europe this year. Jung Kyung-in, chief executive of Pearl Abyss, said that the company will diversify its platform and develop innovative next-generation game engines and focus on new game development to secure competitiveness as a global game developing company.